Hands down, my kids favorite meal is breakfast. Our morning glory muffins and carrot cake pancakes are a few of their favorite breakfast treats. Although this simple freezer french toast recipe is quickly becoming a favorite as well. I love that you can put dry bread to good use. Waste not, want not, right? I particularly love the idea of turning a traditional breakfast into an easy casserole. 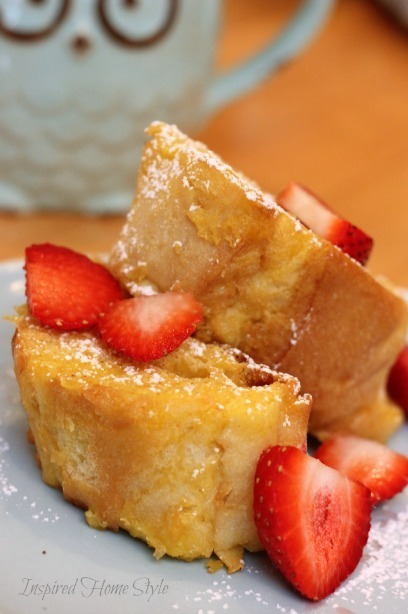 Making this dish perfect for lazy breakfasts and brunches. 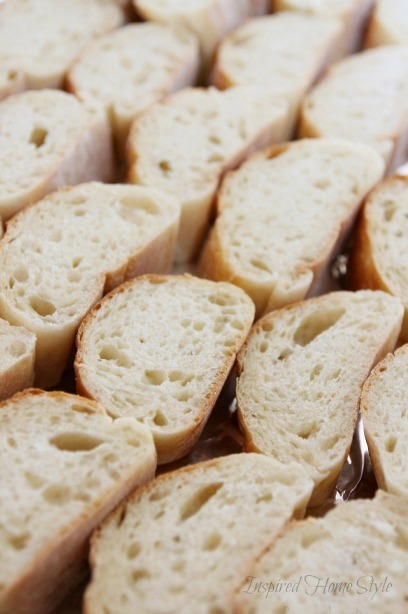 Cut the french bread into 1″ thick slices. Divide the slices onto two cookie sheets lined with foil or freezer paper and spray with oil. Beat together the eggs, milk, sugar, and vanilla using either a mixer or a Kitchen Aid stand. Ladle half of the egg mixture over the slices of bread and let it soak into it. Sprinkle with nutmeg. Flip the bread over, ladle with the rest of the egg mixture, and sprinkle with more nutmeg. You can cook them at this point, or freeze them for later. To flash freeze…place the prepared slices on cookie sheet uncovered in the freezer for about 2 to 3 hours or until firm (this helps the slices from sticking together). Then place in a single layer in Ziplock bags and place it in the freezer until your ready to cook them. Make sure to write the date on the bag, so you know how long its been in the freezer. Preheat the over to 450°F. Place your desired number of frozen slices on a baking sheet. I like to line mine with parchment paper, making clean-up easier. 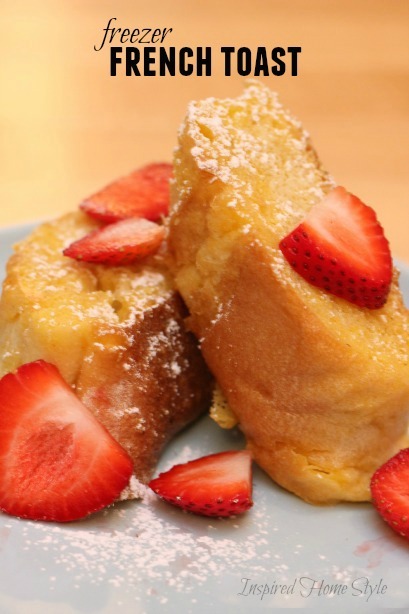 Brush each slice with melted butter. Bake for about 8 minutes. Flip the slices, brush with butter, and bake for an additional 6 to 8 minutes, or until nicely browned. You may need more cooking time depending on the thickness of your slices. 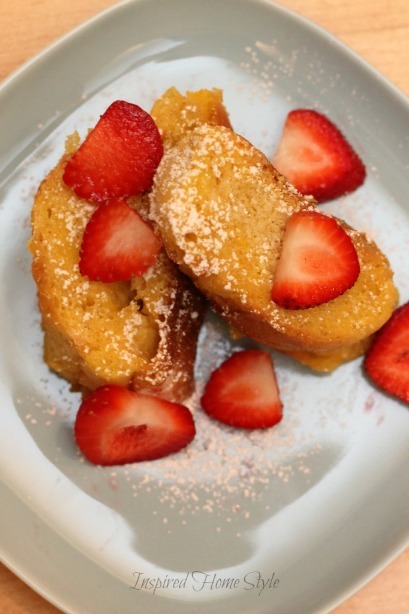 Optional: serve with powdered sugar, syrup, and/or strawberries. When placed on a cookie sheet uncovered for 2-3 hours, is that in the freezer or left out on the counter? I meant to say…to flash freeze, place on a cookie sheet uncovered for 2-3 hours in the freezer. Hope that helps.